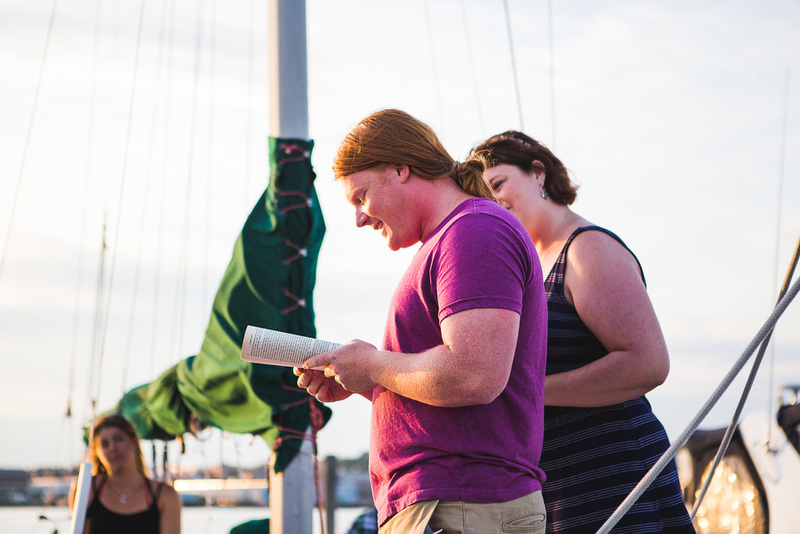 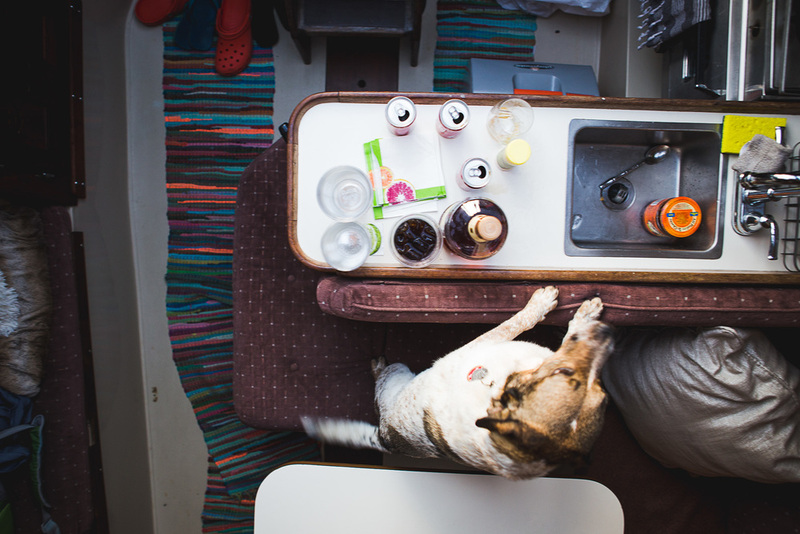 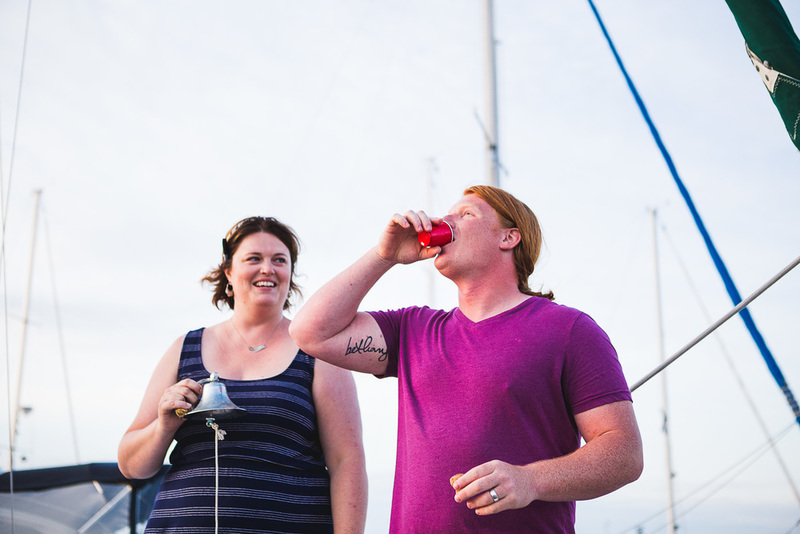 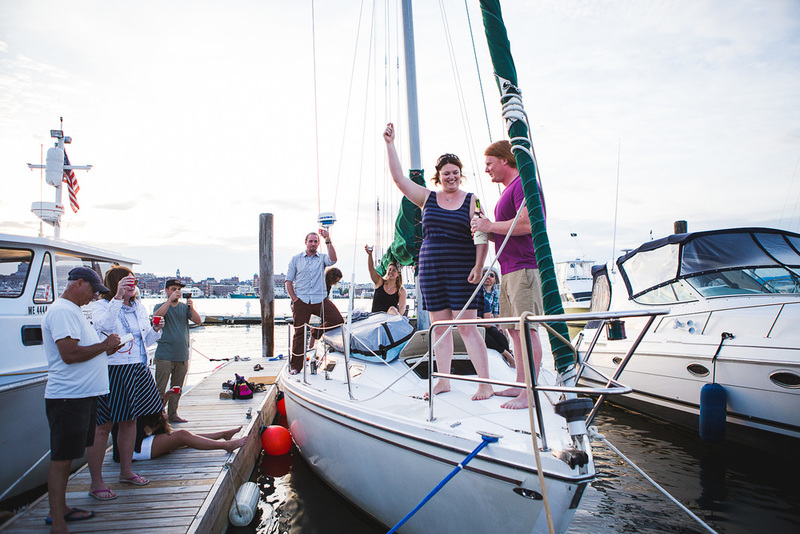 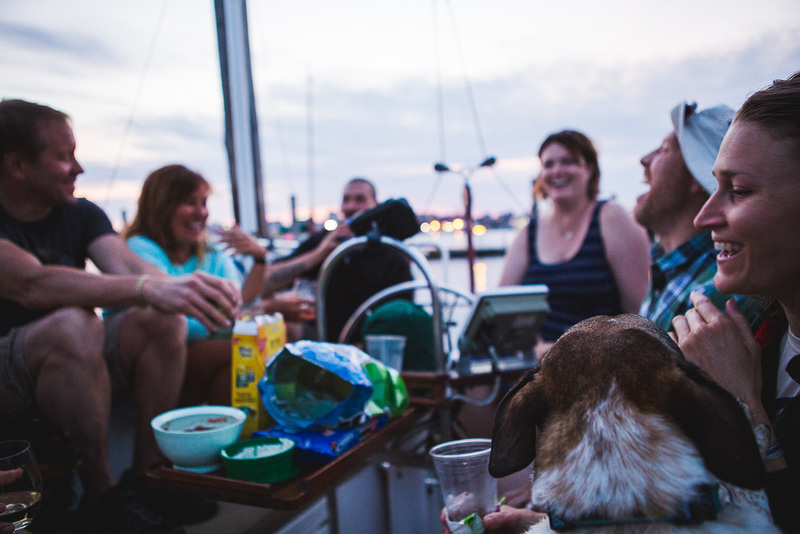 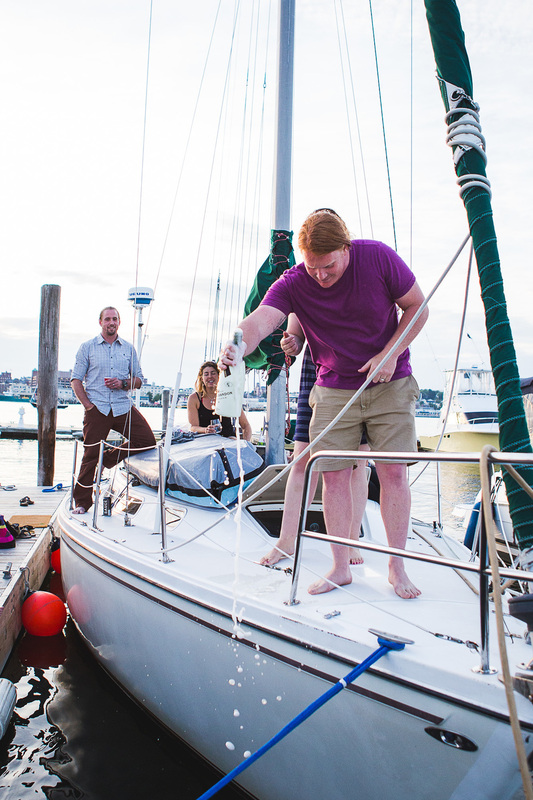 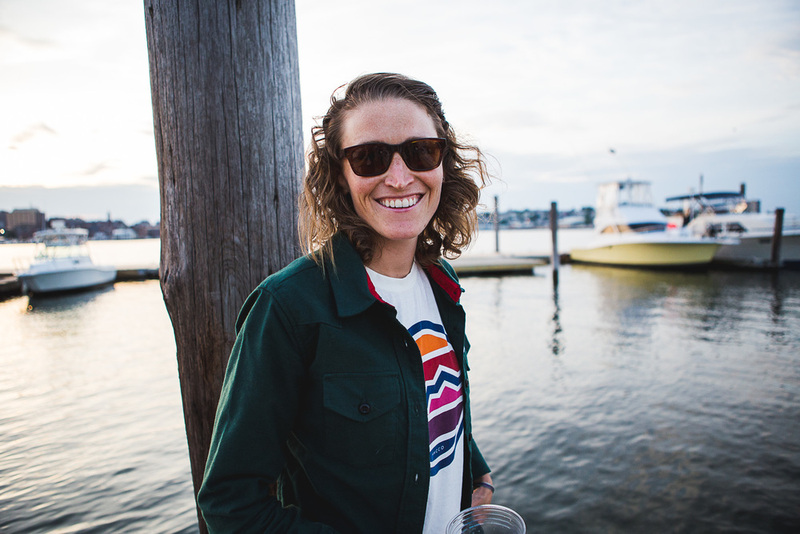 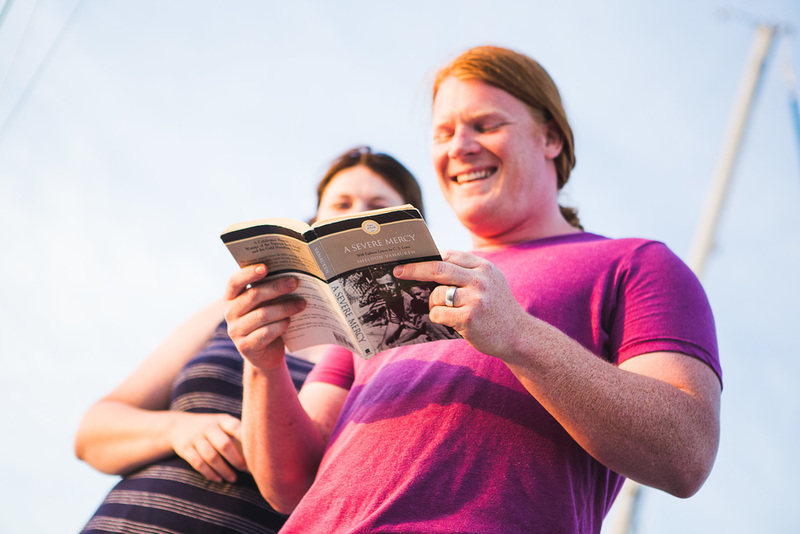 Our dear friends Bethany and Dan Cox bought a sailboat to live on in Casco Bay this summer. 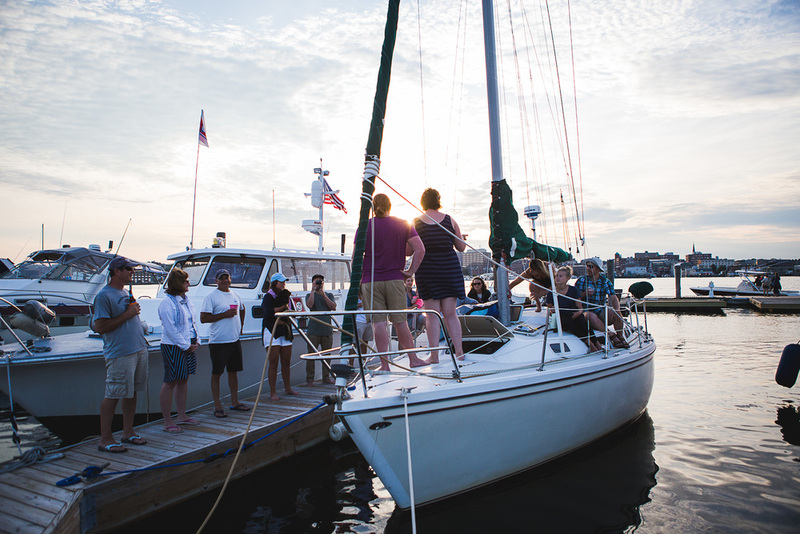 Sounds a little crazy, but given that the first thing I learned about them at a wedding photographer mixer two years ago was that they had kayaked from Lubec, Maine to Key West, I was not all that surprised. 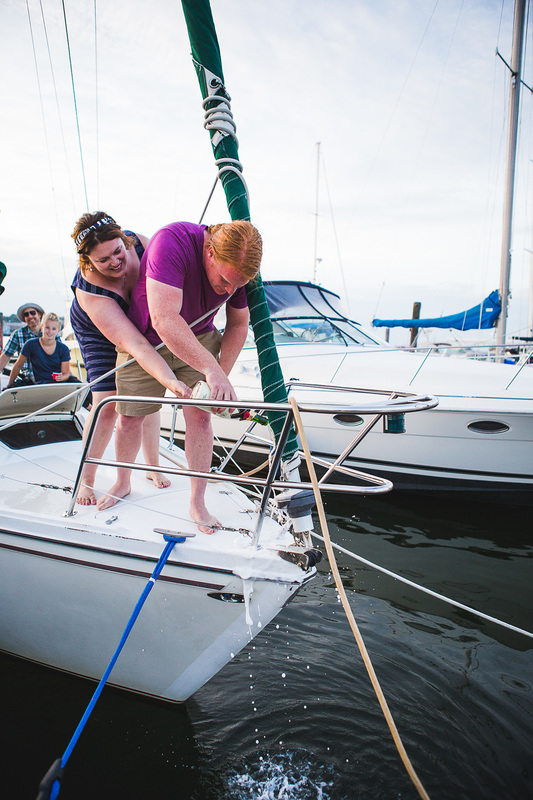 In the meantime, they’ve used our apartment as a pseudo office on multiple occasions and I was thrilled when they invited us to be a part of an intimate ceremony they were hosting to rename the boat they had purchased from the Discovery to the Grey Goose named for a boat in one of their favorite books A Great Mercy by Sheldon Vanauken. 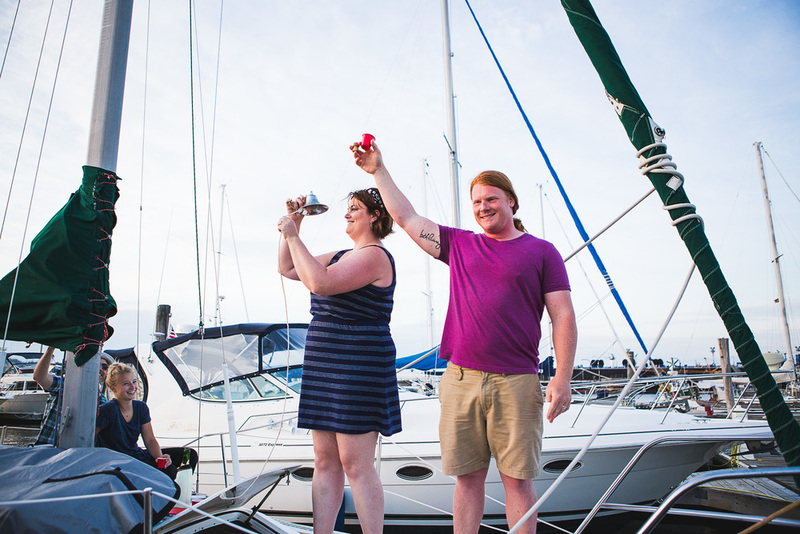 The ceremony included quotes from the book, a few prayers, shots of champagne and Grey Goose vodka (naturally) and lots of good cheer. 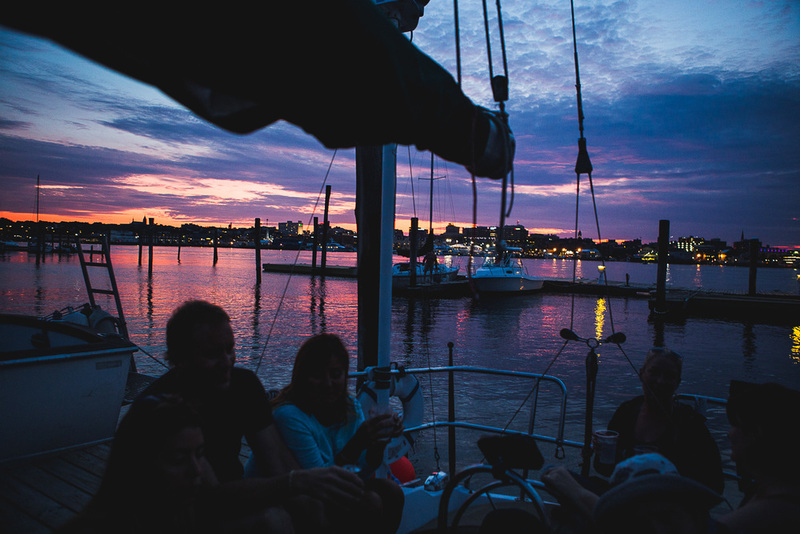 Bon Voyage – or Bon Harbor friends! 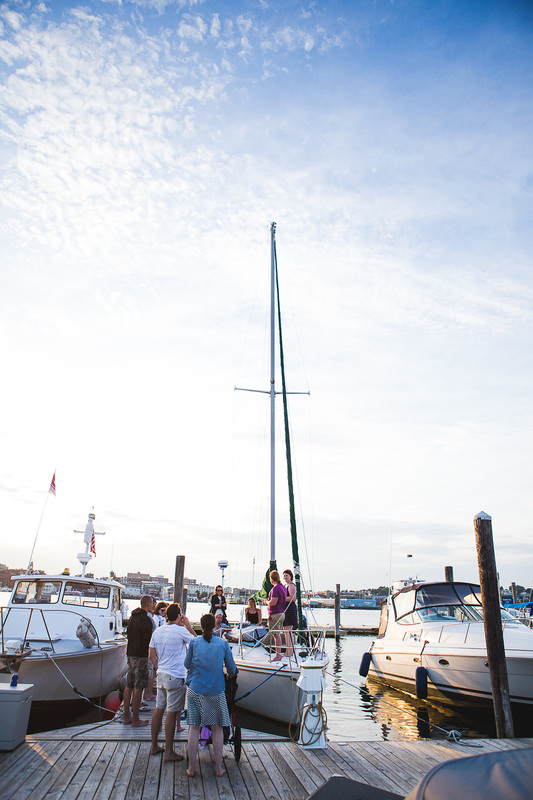 I’m excited to take the Grey Goose out for a spin with you soon!